Few months ago, I came across a term; capsule wardrobe. It was something new to me since I am nowhere a fashion guru, I just like to dress up! My friends always were telling me, that my style is slightly different & unique. I was always obsessed with clothes and I like to experiment. I had no clue that, one day I will be dressing and photographing my outfits! I know, all girls like to dress up but having your own unique style and ability to mix and match the same clothes, can be challenging. That’s what is called a capsule wardrobe! Let’s get explain that a little more. 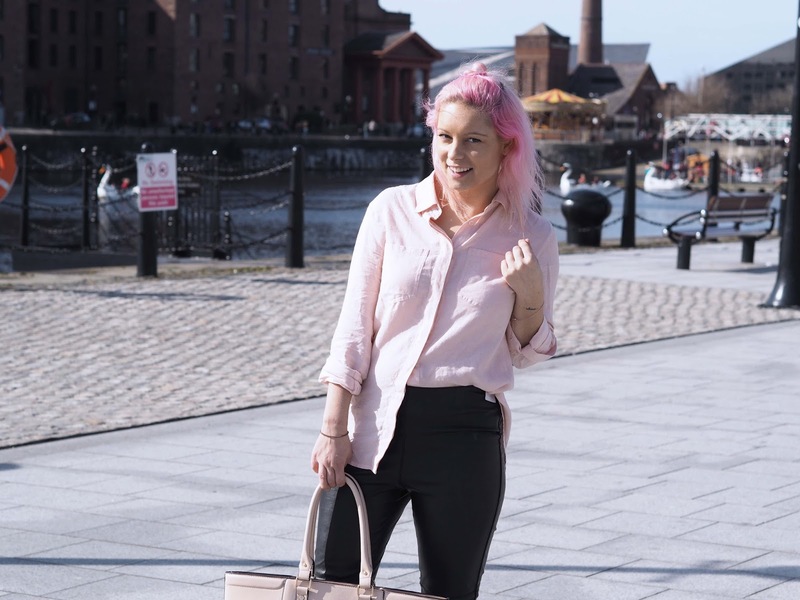 A capsule wardrobe consists only of items which are considered essential, and is usually made up of different fashion items which can be coordinated and dressed up or down in a variety of ways in order to create a range of different looks and outfits. Creating a capsule wardrobe can be a great way to save money on fashion, as it means that you’ll be able to re-wear clothes and still look completely different from the last time you wore them, minimising the need to go out and buy new outfits for different occasions. Capsule wardrobes typically contain around 25 or so items which provide the basis for each and every outfit that you wear. I have chatted about pink hair outfits in my previous post. 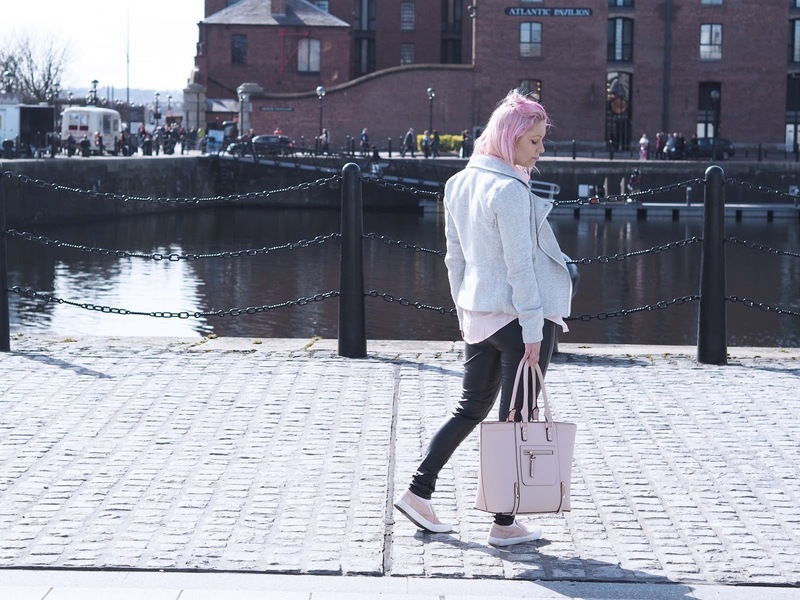 Read Let’s talk Fashion with Pink Hair. 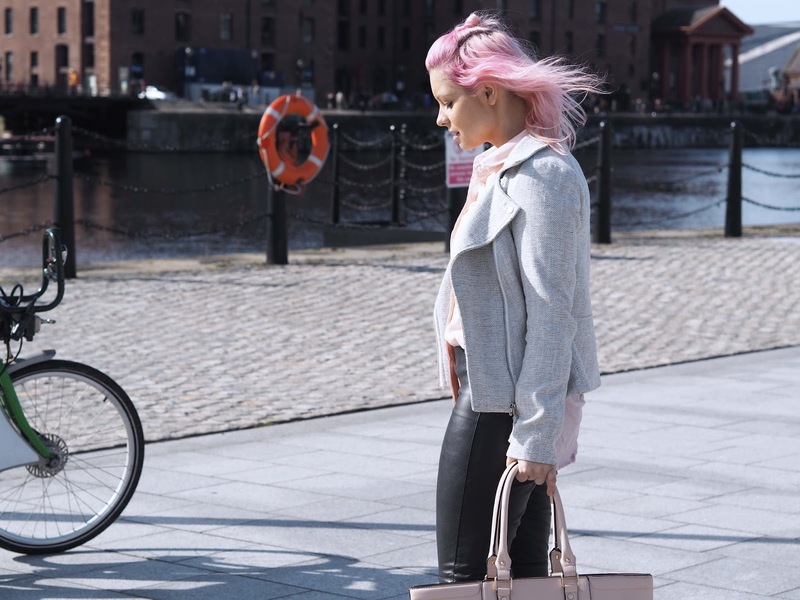 If you’re considering building a capsule wardrobe for pink hair, it’s important to start off with making a list of everything that you’ll need. For example, this could include jeans, t-shirts, dresses (see Ax Paris for their great collection), work clothing, blouses and shirts, and accessories. Of course, the items in your capsule wardrobe will vary depending on the season which you are building it for. A summer capsule wardrobe, for example, will no doubt consist of items such as shorts and skirts, whereas you’ll have more jumpers and scarves in a winter wardrobe. Remember about neutral tones and not to go over the board with crazy neons and bold colours. Your hair is already a statement. 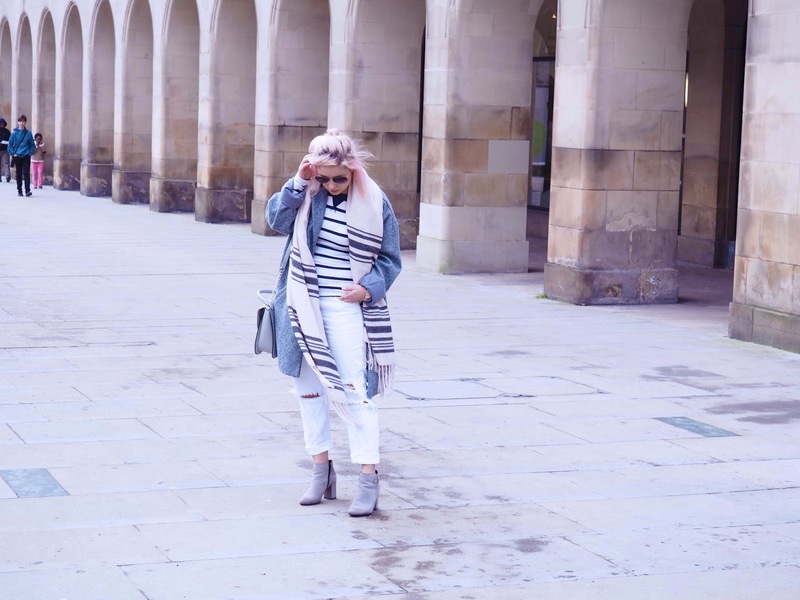 One of the integral elements of a capsule wardrobe is that the items included in it can be mixed and matched to create a whole range of different outfits. Because of this, when choosing items to include in your capsule wardrobe, it’s important to stick to the basics. When buying items, going for colours that are versatile and will go well with almost anything is the best way forward, whilst items that are patterned or hard to match up with different things should be avoided. Items such as little black dresses, plain tops or denim jeans should be the staple of your capsule wardrobe so that you don’t run into problems down the line when creating different outfits. It’s also a good idea to go for fashion items that look just as good whether you’re dressing casually or formally as they can be dressed up or down. Try to keep items that mostly will go with anything. Think of simple typography, small prints and small statement items like that extra glitter or embroidery. Choosing the accessories to include in your capsule wardrobe should definitely be taken seriously. Often, it’s the accessories which complete a look and you will be able to use them a lot in order to put together different outfits, so make sure that you choose key accessories such as scarves and handbags with a lot of consideration. Sometimes, simply changing one or two accessories can completely change an outfit, which is why it’s so important to make sure that you’re aware of exactly how important they are. 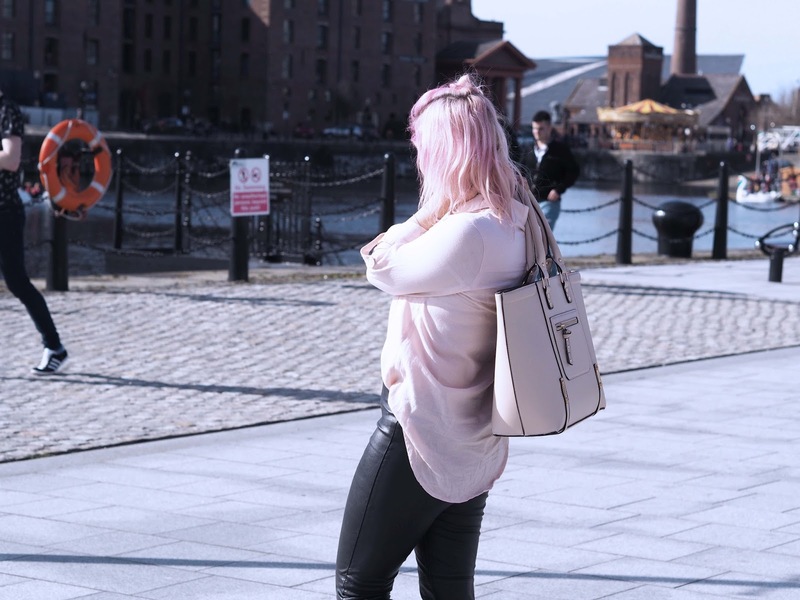 Since a capsule wardrobe involves using the same fashion items over and over to create different looks, accessories play a huge part in making sure that you don’t look like you’re wearing the same outfit all the time. I love rose gold and I can honestly say it work really well with pink hair. Saying that, sterling silver looks great too just try to avoid typical gold as is more into the yellow tones, which are not as great. 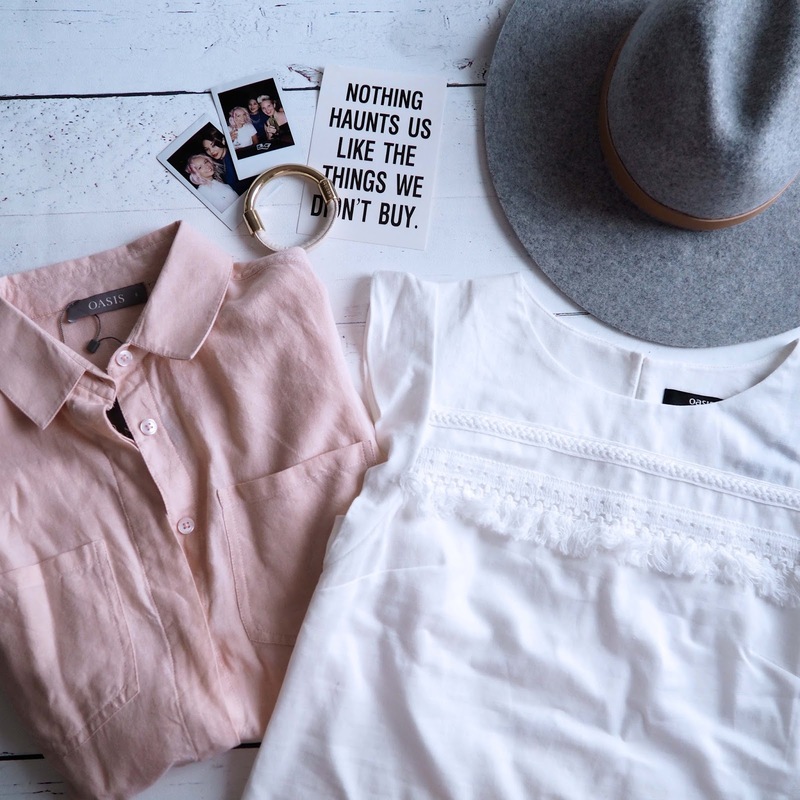 Do you have your own essentials for a capsule wardrobe? 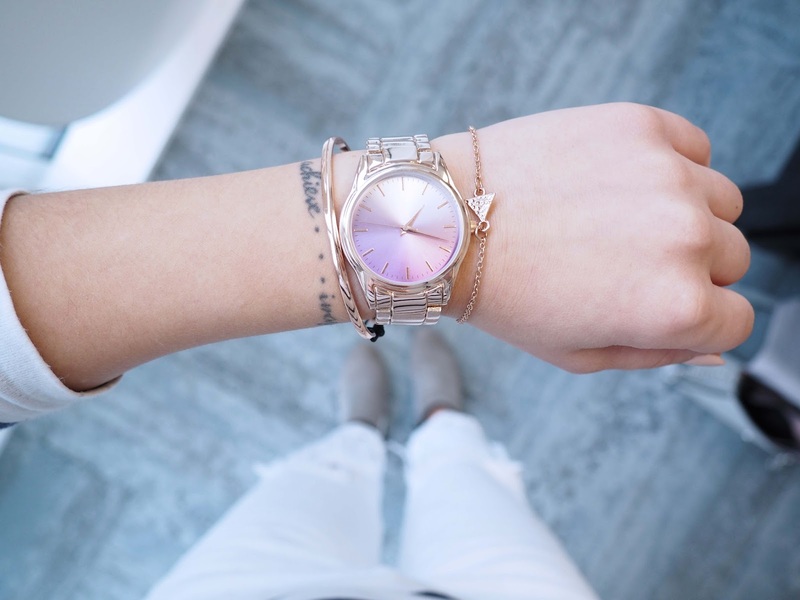 I really love this post – all of these pieces look so good and I love the bag and copper watch! Also so well styled with your hair!